Celebrate all your significant Life Events such as Birthdays, Wedding Anniversaries, Baby showers, Family or Friend Reunions, Receptions, Thread Ceremonies, Poojas or Religious meetings at Radha Madhav Dham’s unique and picturesque setting. 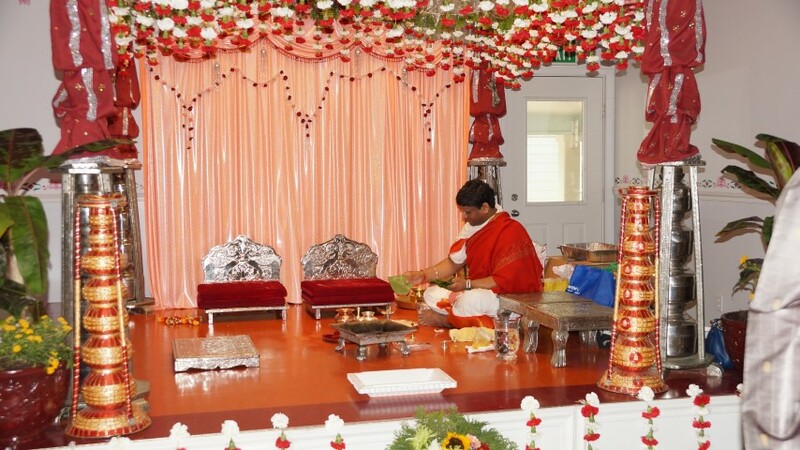 The Dham’s facilities offers a pure and clean environment and facilties for prepring 100% vegetarian meals. In addition to Lotus Hall’s dining capacity that seats up to 60 people, the adjacent Saffron Hall (approx. 3500 sq. ft.) offers flexible seating arrangements to accommodate up to 250 people for a sit-down meal. Both Halls enjoy easy access to full facilities for warming or preparing food, including a walk-in cooler, in an adjoining 750 sq. ft. vegetarian kitchen. With built-in PA system (for CDs, MP3, microphones, etc. ), both these economically priced halls are ideal for your special Life Events.